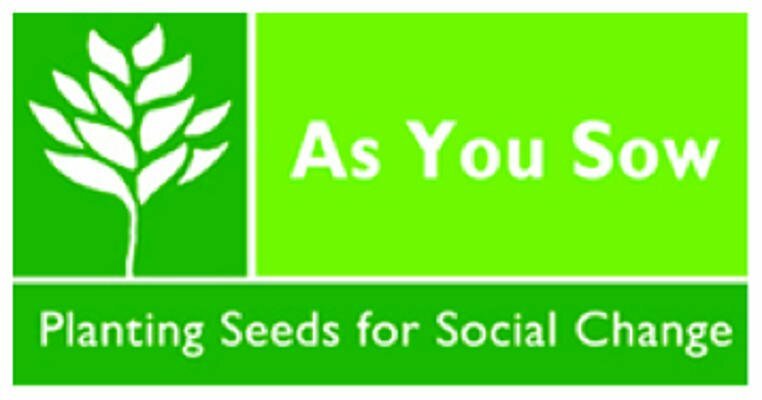 As You Sow is a 25 year old non-profit leader in shareholder advocacy. Through their network, they engage with companies to make positive changes. As You Sow pressured Starbucks to give up plastic straws. Duncan Donuts and McDonald’s to stop using styrofoam. In addition to filing shareholder resolutions, As You Sow engages with companies. It is much easier to bring up an issue with a company through a call and have them take action. The company can get credit for being responsible. It is much harder to file a shareholder resolution and get support for a change. As You Sow conducts media campaigns on issues, contacts shareholders, follows voting on issues so they can follow up and contact those who did not support the resolution. Every March, As You Sow publishes a free guide to proxy voting: Proxypreview.org – this allows shareholders access to an easy guide to vote on shareholder resolutions. They have a mutual fund screening tool so that mutual fund holders can see and compare the impact of the funds they hold. Many people are not aware of the underlying companies that they hold. As You Sow has a tool for evaluating: carbon footprint, amount fossil fuel free, weapons holdings, deforestation impact and tobacco. They will be adding more screens, including: prisons, women in power and palm oil. Thank you Andrew Behar for the important work you and As You Sow are doing.